Pep Guardiola believes it is totally unrealistic to believe Jurgen Klopp’s claim that Manchester City will have the title won in January despite their 3-2 victory at West Bromwich Albion. But he is convinced his team have learned from last season and can bridge the gap after the Spaniard’s side maintained their five-point lead at the top of the Premier League. No team has failed to win the title with 28 points from their first 10 games after City extended their club record run to 13 consecutive wins in all competitions and eight in a row in the Premier League. Leroy Sane and Fernandinho put City in front in the 10th and 15th minutes either side of Jay Rodriguez’s equaliser. Substitute Raheem Sterling extended City’s advantage with his first touch just after the hour mark before Matt Phillips gave the scoreline a flattering look with a second for the Baggies in time added on. Liverpool boss Klopp has suggested City can have the title wrapped up in January but City manager Guardiola shot that talk down. “Have you ever known a team win the title in January? Me neither. No. Totally unrealistic? Definitely,” he said. 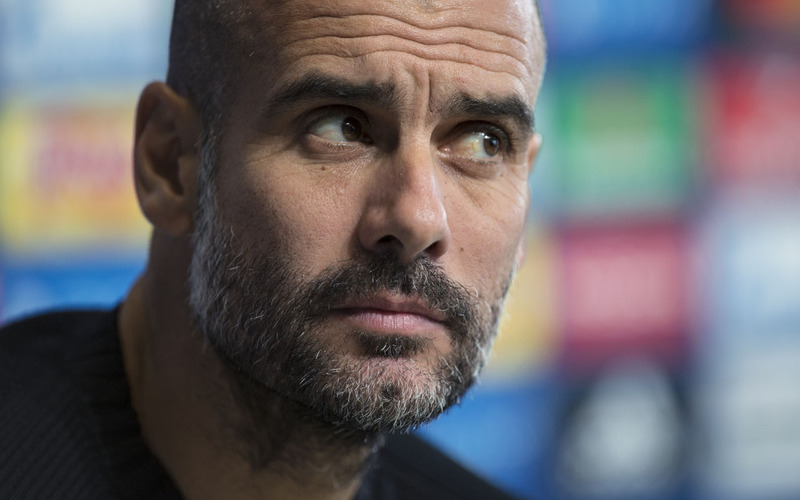 City finished third, 15 points adrift of champions Chelsea last season, but Guardiola has seen improvements since that could make the difference. “It is important when you don’t play at the highest level, you are still able to win,” he said. “That is the big difference this season, because last season when we were not playing well, there was no chance to win. Until now that hasn’t happened. “Our mood is good. We believe we’re going to score goals and that we’re going to concede few. Sergio Aguero was kept on the bench and so denied the chance to become City’s outright all-time top scorer. Guardiola believes the high-level competition for places is keeping his players at the top of their game. “You see the bench and you see how many good players there are with Danilo, Sergio, Raheem (Sterling) Yaya (Toure) and (Eliaquim) Mangala,” he said. His West Brom counterpart Tony Pulis denied City have clinched the title already. “They are certainly one of the main contenders but it’s a long season,” he said. “There are lots of obstacles they have to overcome — they’ve got to be fortunate with injuries and get the bounce of the ball, so it is not in the bag yet. “We gave them a game. There will be a lot of teams who will do the same. Defeat extended West Brom’s run to just two wins in 19 Premier League games.